Kathmandu, 7 September : Nepali model and actor Dikpal Karki have won the title award ‘Mister Model of the World 2018′ held in Myanmar. Karki left 9 contestants from other nations behind and won the trophy. Besides title award Karki have won other three different awards like Mr. King of Catwalk, Mr. Model Chan Lone Best Hair and Mr. Model Best in Formal Wear. 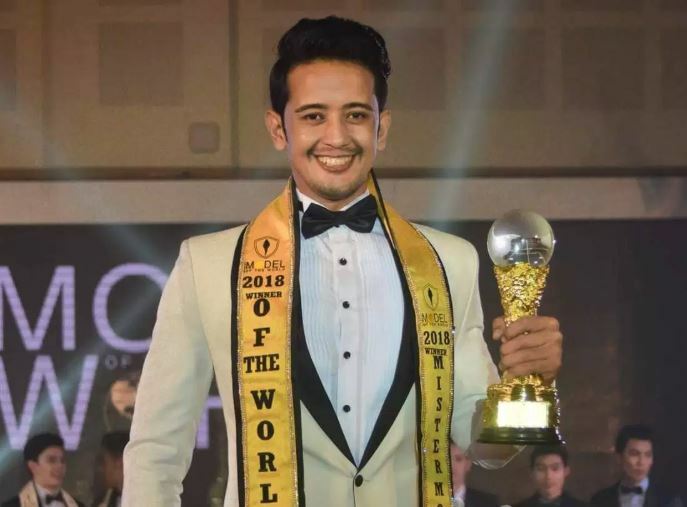 Mister Model of the World 2018 award winner Dikpal is the winner of Social Media Star and People’s choice award at Mister Grand International 2017. Dikpal is already featured in hundreds of music videos, fashion shows, international brands and few feature films. Veterinary Doctor Dikpal started his modeling at the age of 19 in 2009. Contestants from India, Thailand, Indonesia, Philippines, China and other nation fought for the title.